Lyme disease is growing at four times the rate of AIDS and is quickly becoming our nation’s most misdiagnosed and fastest-growing infectious disease. Fact: The tiger mosquito remains within 300 feet of where it was born and most other mosquitoes remain within 1 mile of their breeding site. Fact: Mosquitoes can develop from egg to adult in as little as 4-7 days, so make sure you remove any standing water in your yard. Fact: Ticks are not insects; they are arachnids like spiders, mites and scorpions. Fact: Ticks do not fall from trees onto unsuspecting people. Rather, they prefer the fringe areas of yards clinging to shrubbery and grasses waiting for a mammal to brush into them. Ticks like to hang out on the tips of shrubs and bushes waiting for a mammal to come along so they can hitch a ride and have lunch. Did you know that a deer tick the size of the tip of your pen could potentially cause Lyme Disease? Mosquitoes when not feeding on you, feed on plants. Did you know that besides West Nile Virus, mosquitoes can also cause heart worm in your dog? We can help protect your family and pets from these pests. With the purchase of one of our packages, our licensed applicators will come to your home and barrier spray your lawn. Our programs below not only knock these pests dead on contact but our backpack sprayers get deep into the foliage in your yard and coat leaves and bushes leaving a protective barrier that repels these pests. Who knew? The seed case of the Chrysanthemum flower kills ticks and mosquitoes and a host of other pests. Our Flower Power Program utilizes a synthetic derivative of the Chrysanthemum flower to kill and repel ticks and mosquitoes for up to three weeks at a time. Our licensed technicians will automatically show up and treat your yard on schedule. No need to hassle with setting an appointment. Flower Power is virtually odorless and cures on the foliage generally within 30 minutes of application. The formula we apply to your backyard is a milder concentration of the active ingredient that is found in the shampoo used to treat lice in children’s hair. It is also the active ingredient in flea and tick collars and shampoos used on pets and in mosquito nets used in Africa and other places. Our 100% Organic, Simply Organic Program is completely natural and is certified by the USDA’s National Organic Program (NOP) which assures consumers that agricultural products marketed as organic meet consistent, uniform, standards. The active ingredient in our Simply Organic Program is Rosemary Oil or Cedar Oil. And just like our Flower Power Program, will kill ticks and mosquitoes on contact and put up an invisible barrier that these pests won’t penetrate for up to two weeks. I want to reiterate that our organic product KILLS ticks and mosquitoes as there are other organic products we’ve heard offered like garlic oil that just repels these bugs. Our Simply Organic Program, similar to the organic produce you buy at the grocery store, has a shorter “shelf life” since no preservatives are used and because of that, it needs to be applied every two weeks during the season. 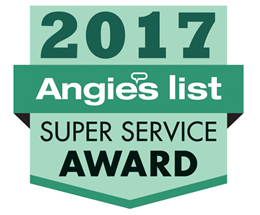 Our technicians will automatically show up and treat your yard on schedule. No need to hassle with setting an appointment. Some homeowners have commented that our Simply Organic Program smells like “Ben Gay” or a cedar closet. The smell will dissipate within a few hours. It too generally cures within 30 minutes. Finally! A program to help minimize the stinkbug invasion of your home. While we can’t completely eradicate these pests, we can slow them down. We offer our Simply Organic solution as above, but the application process is a little different. 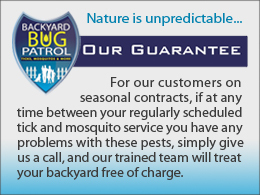 Instead of treating your yard, we treat the outside of your house and as such, offer the Stinkbug Barrier Program for an additional fee for the fall season. 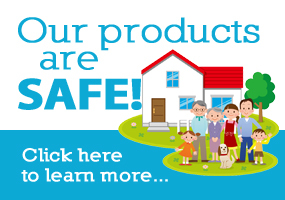 Our Stinkbug Barrier Program mists the outside of your entire house killing and repelling Stinkbugs. Generally we will treat your house 3 times during the fall when the Stinkbugs are trying to enter your home to hibernate for the winter. You may see a chalky residue on the outside of your house and on your windows which remains after application. This will wear off within a few weeks and doesn’t stain. Once again, while we can’t completely eradicate these pests, we can certainly slow them down. Tick Tunnels are a must for a complete pest management plan! Did you know that deer ticks get Lyme disease from mice and not deer? Tick Tunnels rely on the natural nesting patterns of mice. Tick Tunnels are completely biodegradable, cardboard containers filled with cotton balls treated with the same stuff we use in our Flower Power Program. Mice collect the cotton balls and bring it back to their dens to build their nests. Deer ticks that live with mice in the Spring and the Fall are exposed to the treated cotton and killed. There are no ill effects to the mice, other mammals or your backyard. Tick Tunnels have proven to be effective in reducing ticks that can cause Lyme Disease up to 10 times! When you purchase Tick Tunnels as part of your backyard defense plan, we provide two treatments, one each in the Spring and Fall. Tick Tunnels can be combined with a Barrier Spray Program to completely disrupt the tick life-cycle. Backyard Bug Patrol is now offering a green, 100% organic, all natural Ant Barrier Program which controls and prevents the most commonly found ants from entering your home. 100% Organic granular barrier application. 1/2 as toxic to the environment as common table sugar. Naturally occurring minerals that ants find delicious. The active ingredient is all natural and a normal part of the environment and part of the human diet. Won’t hurt helpful insects like butterflies and honey bees. Ants take the bait back to their colony and the granular product will destroy the whole colony. Our techs will apply a protective band of our Ant Barrier Program around the perimeter of your house. We will apply three treatments; one in the spring, one in the summer and another in the fall. If at any time you have any problems with ants simply give us a call and we will come out and retreat. Contact Backyard Bug Patrol about adding your Ant Barrier Program to your Tick and Mosquito programs!